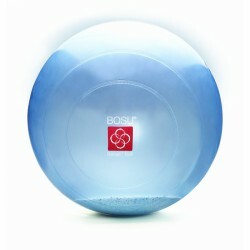 The BOSU Balance Trainer Sport is a versatile training device to train your balance skills. In addition, the Balance Trainer Sport offers many exercising possibilities for increasing your strength. Exercising instructions are included in delivery, so that you can start immediately. It is suitable for any age and training level. 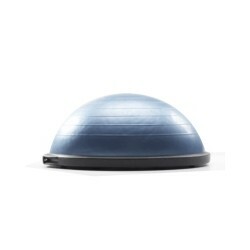 The BOSU Balance Trainer Home is a training machine of flexible use for the daily balance workout at home - no matter which age or fitness level. It can be "trained" from both sides and offers versatile exercises for strengthening, stabilising, and coordination. 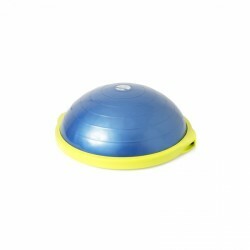 The Balance Trainer Home is made of vinyl, offers a total weight of 6.2 kg, and is suitable for any height. Including two exercise dvds! Revolutionary training equipment for a dynamic, functional resistance training. The cylinder can be filled with water and offers resistances from 5 to 32 kg by an easy filling and emptying. 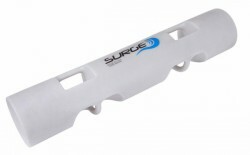 The Surge is excellent for an effective whole body trianing for neuro-muscular activation, for an increase in the physical performance, for an improvement of the muscular interplay, and many more. 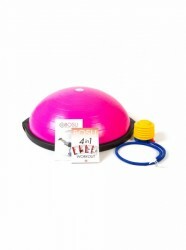 Including exercise instructions and exercise dvd.